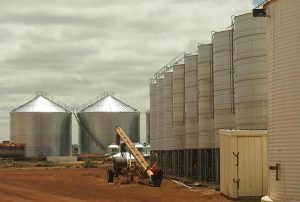 Premium Grains offers grain receival and storage service, specialising in providing precise quality and variety segregation for servicing niche markets. 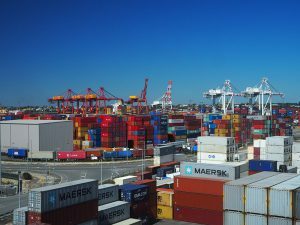 This includes receival facilities in Fremantle, Kellerberrin and Wandering, with specific receival standards determined by the individual market. Our main site at North Fremantle has 5000mt of silo storage. These silos are completely sealed so that controlled atmospheric fumigation can be carried out. This silo storage allows us to have many different grains and pulses on site and across different grades. We also have a modern grain cleaning plant at our North Fremantle site. This plant is equipped with industrial Aspirators, Scalpers, Screeners, Clippers, automatic bagging machinery and quality monitoring equipment. This plant ensures that Premium Grains can satisfy the most stringent of grain quality requirements. Our up-country storage facility at Kellerberrin has 20000mt of storage across silos, sheds and bulkheads. This storage facility allows growers to deliver quickly and efficiently during harvest. We are then able to drawn down on this storage throughout the year to ensure a consistent and high quality supply of grain all year round. Our up-country storage facility at Wandering has 35000mt of shed storage. 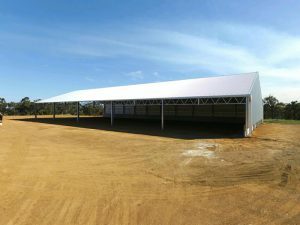 This storage facility is positioned to capture the major oat growing regions of Western Australia and provides another option for our valued oat growers to deliver to. Premium Grains is also a partner in a Melbourne packing operation based in Laverton and trading as TRP Grain so that it can provide both west and east coast supply and packaging options. All products are supplied either bulk or bagged in 20 foot containers. TRP is also AQIS accredited to ensure that the highest quality standards are maintained.